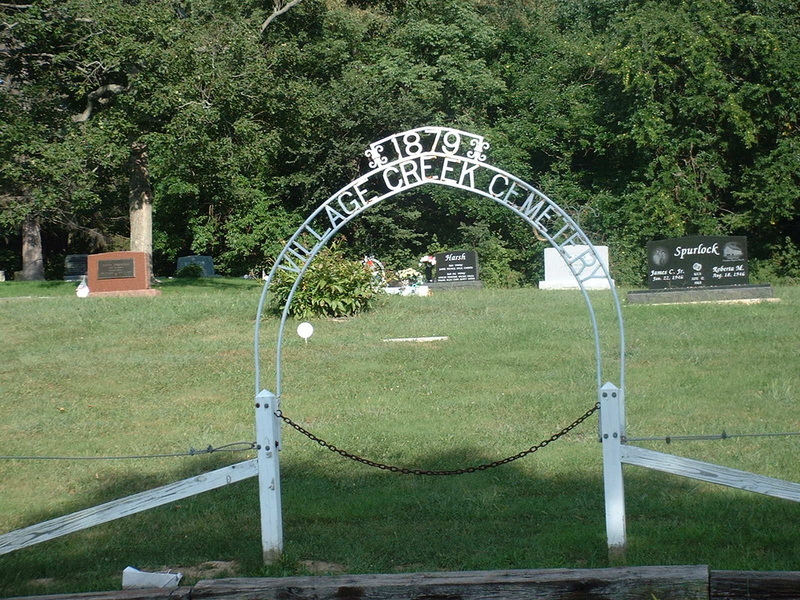 Village Creek Baptist Church was organized on 24 July 1824. Charter members were Robert Gilky, Thomas Wolverton, William Denman, William Sparks, Phineas McCray, Stephen Harlan, James Wood, Sarah Gilky, Mary Denman, Mary Sparks, Mary Harlan, Sarah McCray and Hannah McCray. Mary Palmer Sparks, daughter of Rev. 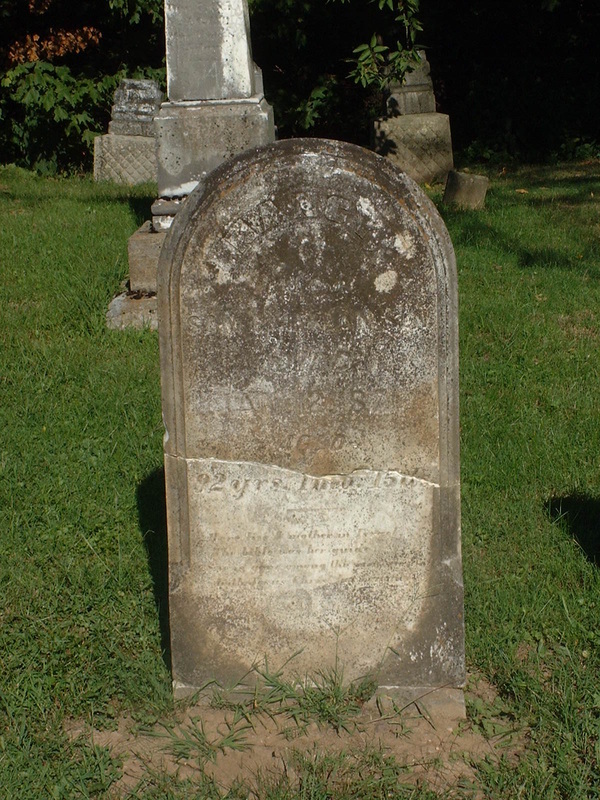 Joshua Palmer, is buried in this cemetery along with her husband, William Sparks, their sons Rev. 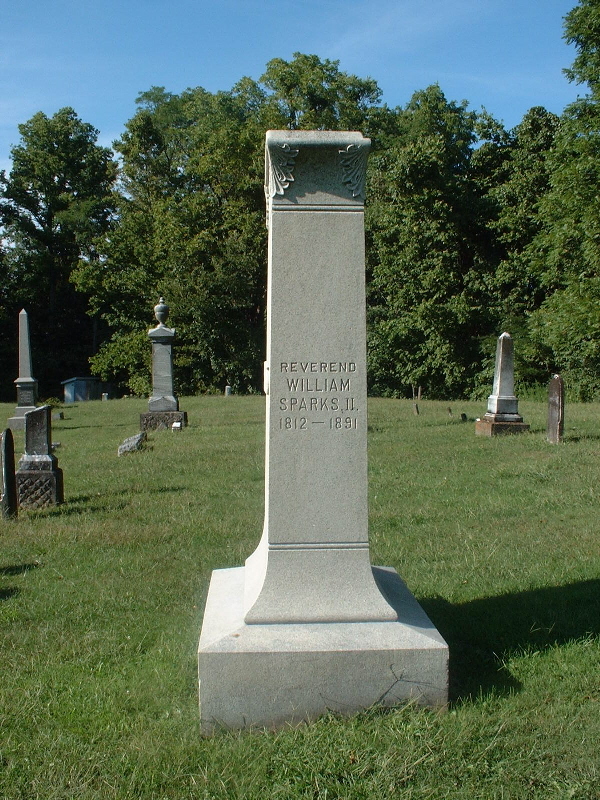 William Sparks and Hiram Sparks, grandson Hiram F. Sparks, and a number of other relatives. 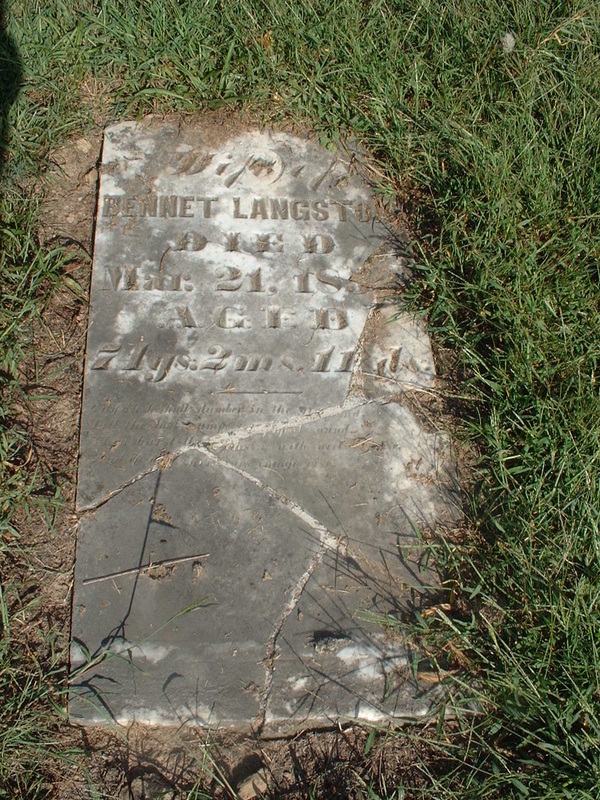 Also buried here are Bennett Langston and Samuel Harlan who came with the Palmers to Indiana from Laurens County, South Carolina. 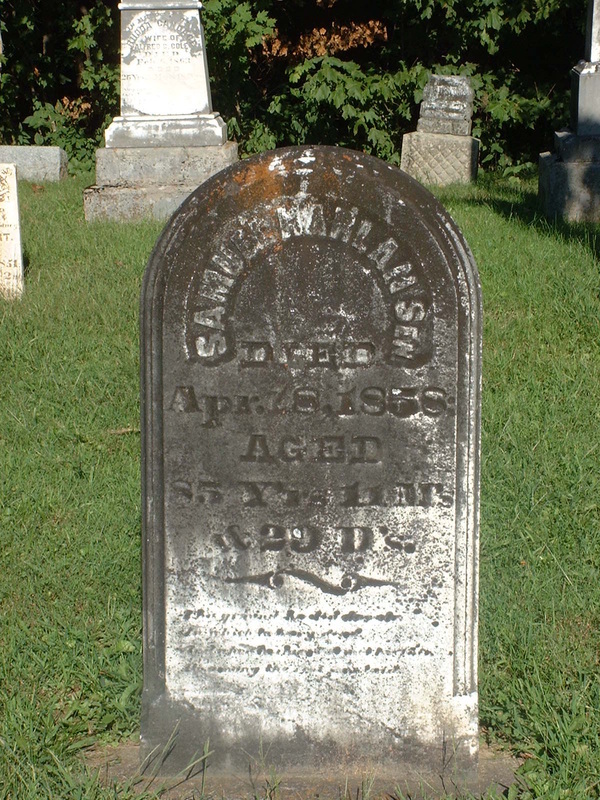 Hiram Sparks, 1821-1902, son of William and Mary Palmer Sparks. 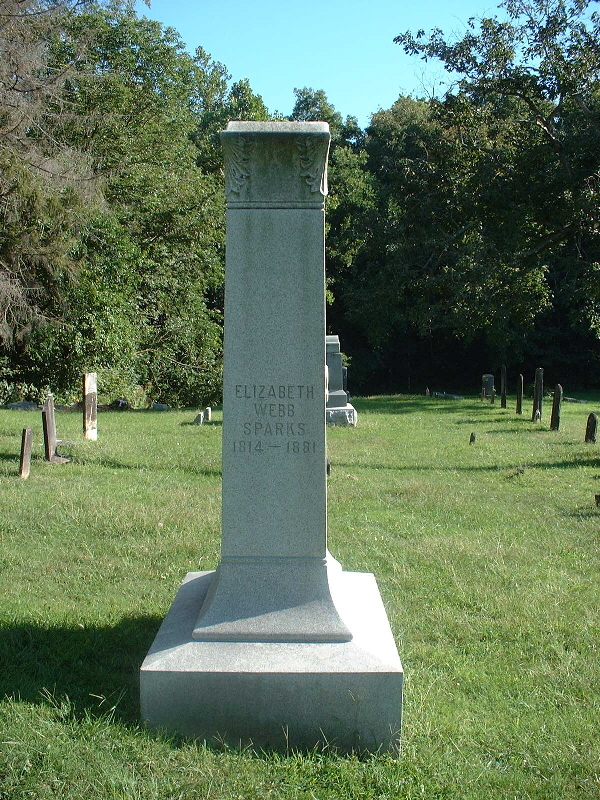 Elizabeth Stoops Sparks, wife of Hiram, 1823-1904. 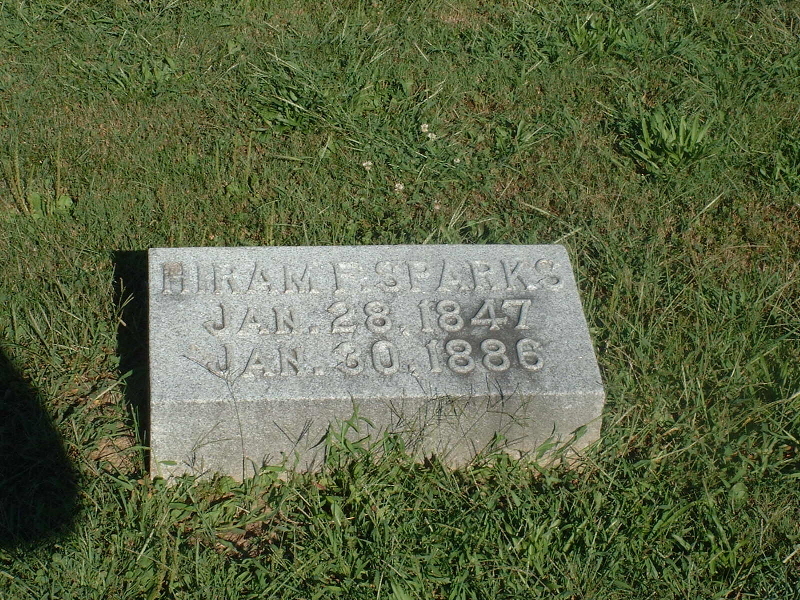 Hiram F. Sparks, 1847-1886, son of Reverend William Sparks. 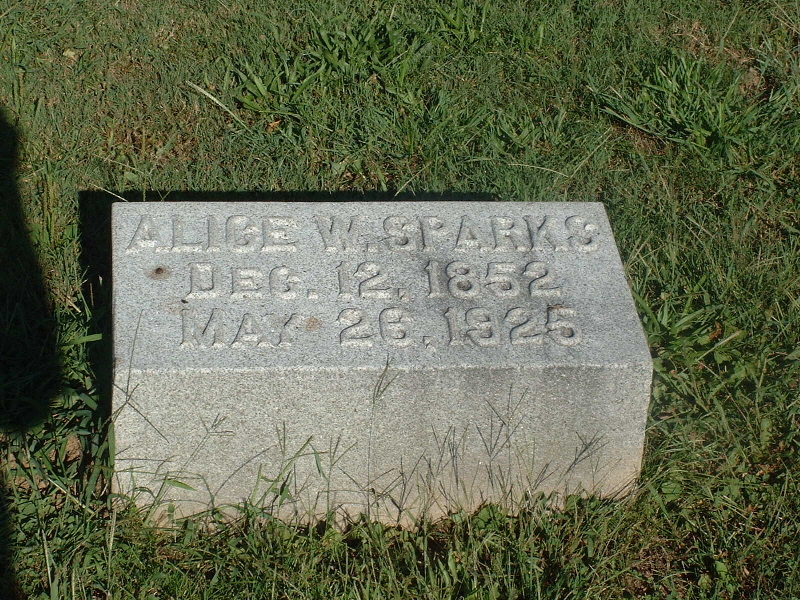 Alice Watton Sparks, 1852-1925, wife of Hiram F. Sparks. 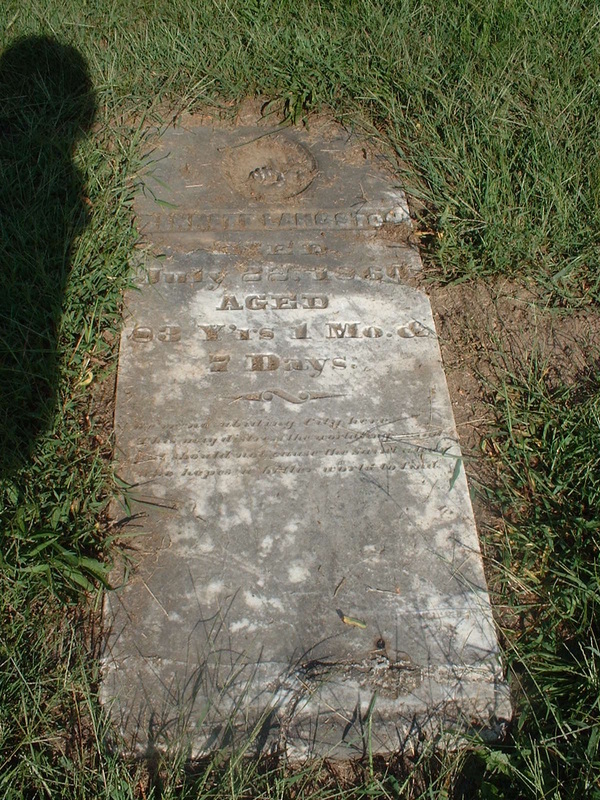 Bennett Langston died July 22, 1860, aged 83 Y'rs 1 Mo. & 7 Days. [Mary] wife of Bennet Langston Died Mar. 21, 1852 Aged 74 ys. 2ms. 11 ds. Samuel Harlan Sen. Died Apr. 8, 1858 Aged 85 Y's 11 Ms & 29 D's. Nancy wife of Samuel Harlan Died Jan. 12, 1871 Aged 92 yrs. 1 mo. 15 ds. History of Fayette County, Indiana: Her People, Industries and Institutions (Indianapolis: B.F. Bowen & Co., 1917), 420.